Google has made changes in its Android Wear 2.0 OS updates delivery. The company will now roll out Android Wear 2.0 updates and features through the Play Store itself. Also, the smartwatches running Android wear 2.0 now get bug fixes, feature enhancements, and other improvements as well. Previously, Android Wear users had to download a firmware update, delivered by OEMs. Now, Hoi Lam, Wearables Developer Advocate, Google announced all such updates will be delivered using the Google Play Store. The first of such updates went out in early October. “With Android Wear 2.0, new features can be delivered through the Play Store, when the Android Wear app on your watch is updated. The aim is to publish more timely improvements between OTAs,” writes Lam. Lam also mentioned that Google had already released a few upgrades with last week’s update for Android Wear. 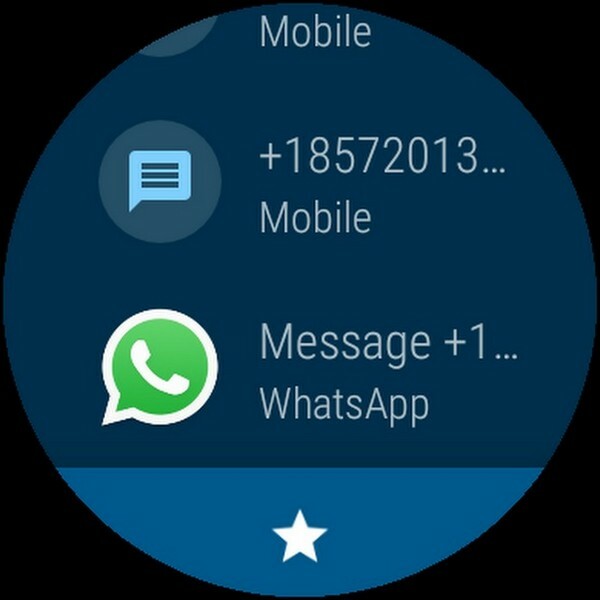 This will include third-party chat app support in contacts and reduce the accidental entry into the watch face picker. The chat app support means users will be able to use WhatsApp, etc to text their contacts. It also comes with other features including bug fixes as well. Moreover, the update comes with improved Play Store visibility for new users. To recall, Android Wear releases haven’t been timely because of bugs. Android Wear 2.0, which was supposed to be released in 2016, was pushed back to early February 2017 due to bugs. Also, when the launch window rolled around, only four smartwatches including the Moto 360 Sport, LG Watch Urbane 2nd Edition LTE, Asus ZenWatch 2, and ZenWatch 3 got the new firmware. Now, even if this new development goes smoothly, smartwatch manufacturers will still have to implement support for individual watch’s buttons and sensors. Also, they have to add custom watch faces, apps, menus, and other applications, which will take more time. Still, incremental updates will help to get updates more quickly.